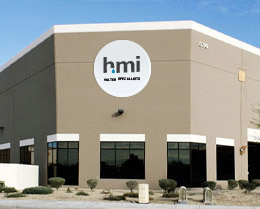 HMI Water Specialists is an industry leader since 1984 that specializes in custom built and engineered water-conditioning equipment. HMI Water Specialists distributes water treatment products in North America, Central and South America as well as Europe. As members of the National Water Quality Association we assure all products are UL approved and WQA certified. HMI-Water Specialists provides high quality drinking and process water through its broad range of reverse osmosis (RO) water purification systems, ranging from under-sink residential systems to high-volume commercial systems. After sales service is also a very important part of our business model. Whether you are in need of advice, replacement filters for a drinking system, or water softener salt delivery, there is a department waiting to assist you with these needs. In today's environment, we are experiencing increased demand for high quality water. An expanding population combined with a fixed supply of clean water and heightened consumer awareness continues to add to this demand. With a limited supply of potable water, municipalities continue to increase the price of water supplied as well as the price for wastewater discarded for treatment. HMI Water Specialists offers a broad, proven line of water pressure regulators to conserve water for home and industry while still providing comfortable levels of water pressure at the point of use. Our state-of-the-art No Waste reverse osmosis (RO) systems provide bottled-quality water to homeowners, without the waste of conventional systems. Unless properly conditioned, channeled and tempered, water can pose a serious hazard to those who use it. HMI Water Specialists have had the safety of their customers foremost in mind. We work closely with agencies who set standards and plumbing and building code officials to develop plumbing regulations that maximize the safety for our customers.